Cases ship unassembled to save assembly & fragile shipping costs! 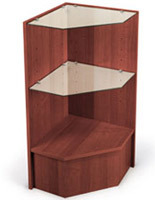 Melamine construction is a durable & affordable alternative to traditional wood cases! Part of a line of coordinating units – create your own configuration! 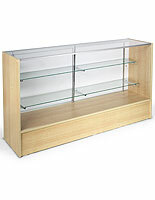 These display cases will keep your merchandise safe while still in plain view for customers. 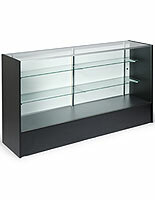 Enclosed, counter-style display cases are great for jewelry, perfume or handbags in a department store, souvenirs at an entertainment venue, snacks at a movie theater, artifacts in a museum, or countless other uses. 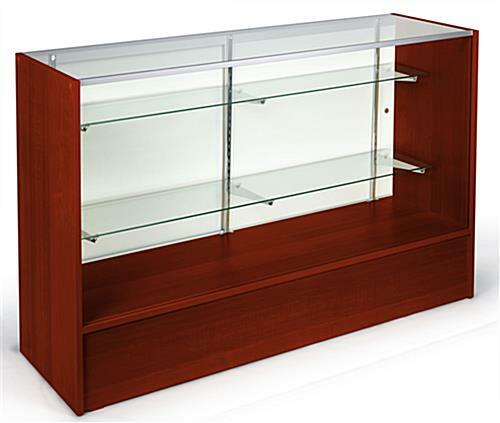 These display cases, also known as display cabinets, are great for stores on a tight budget as they are crafted from affordable, yet still very sturdy, materials. Are you looking to open a retail store but don't have the right equipment? 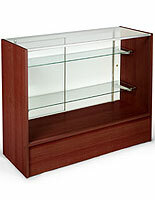 Buy a few of these cherry display cases to create an entire configuration for much less than you'll find at other online retailers! 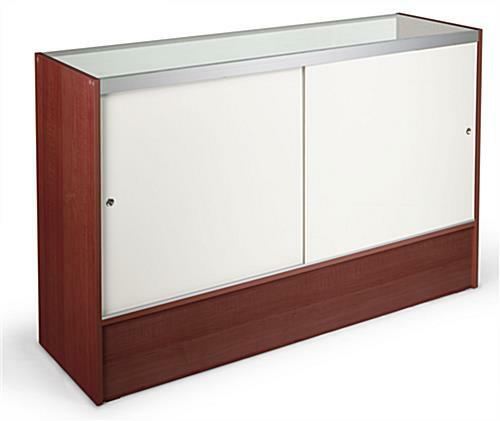 Some great features of these display cases include: plastic feet, adjustable shelves, hardboard doors, anodized aluminum extrusions, and melamine panels. Melamine is a great alternative to traditional wood panels, as it is very durable, will stand up to heavily-trafficked environments, and is budget-friendly. 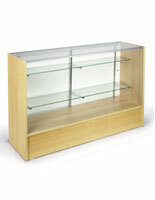 All glass surfaces of these display cases are crafted from tempered glass. 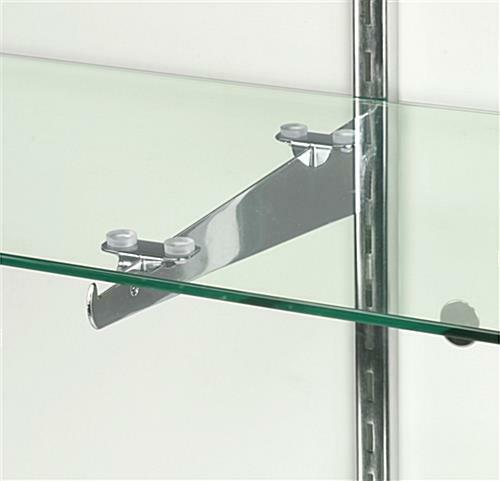 Tempered glass is a much sturdier and safer alternative to traditional plate glass. It is less likely to break, and if it does, it will shatter into small, manageable pieces (like a car windshield), rather than large, dangerous shards. 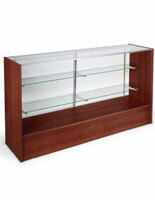 These retail displays, display cases are a great choice for all your merchandising needs! Although these cases are offered assembled as well, this case is being sold unassembled. 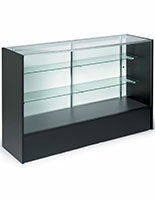 By assembling the case yourself, you are saving hundreds on warehouse assembly and shipping costs. You will also receive your cases sooner, as unassembled display cases ship out today (if ordered before 3PM EST), while assembled cases may take up to 2 days before leaving the warehouse. We have even created a simple video to aid in assembly.